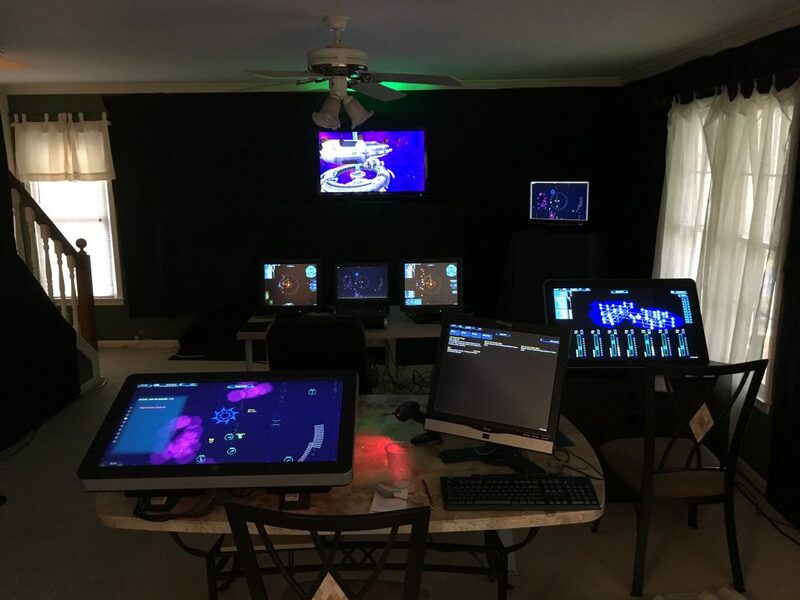 Our first major event was a 4-hour LAN party for our daughter’s 13th birthday in March of 2016. 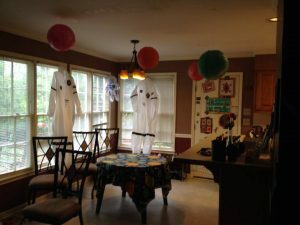 Since most of my daughter’s sci-fi experience has been Star Trek related, we themed the decorations along Trek canon. 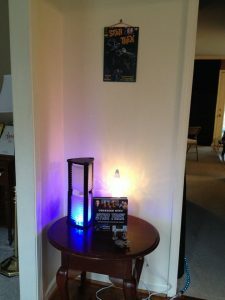 Display table in the foyer. 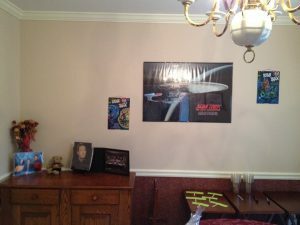 Dining room, decked with Trek decor! 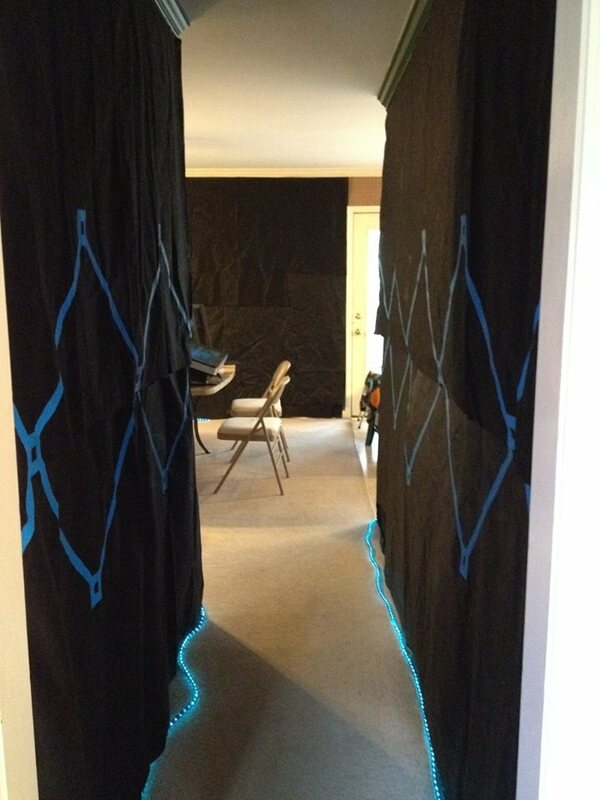 Hallway with black landscape fabric, blue neon tape, and blue rope lights for ambiance. Our living room aka LTE Bridge 1.0, with black landscape fabric on the walls. All the crew positions have touchscreens. 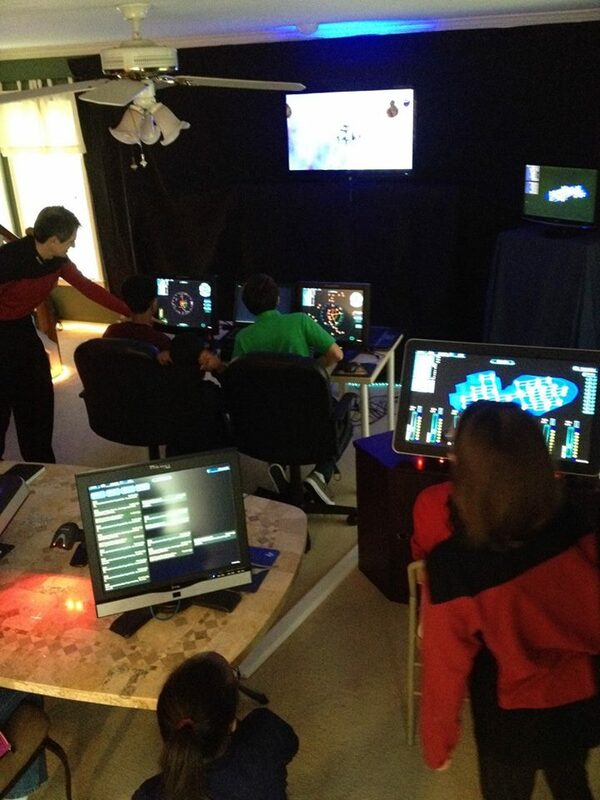 In Trek TNG costume, I’m up front left; daughter Kira is foreground lower right.